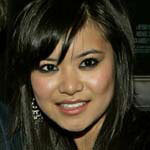 Please join us at TLC in wishing Katie Leung a very happy birthday. The actress, who plays Cho Chang in the Harry Potter films, is celebrating her 23rd birthday today. Many happy returns, Katie!